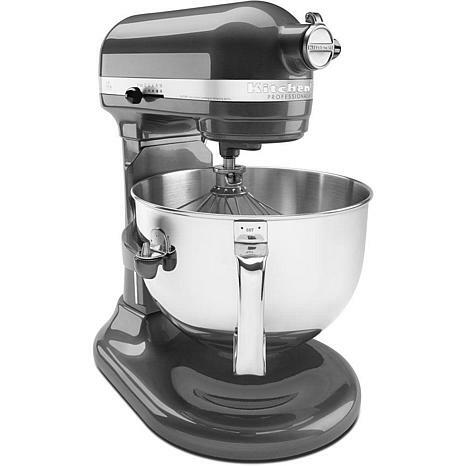 The KitchenAid Professional 600 Series 6 Quart Bowl-Lift Stand Mixer is perfect for heavy, dense mixtures. 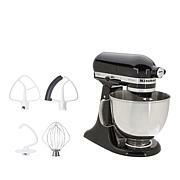 It also offers the capacity to make up to 13 dozen cookies in a single batch and 10 speeds to thoroughly mix, knead and whip ingredients quickly and easily. For even more versatility, use the power hub to turn your stand mixer into a culinary cneter with over 10 optional hub powered attachments, from food grinders to pasta makers and more. 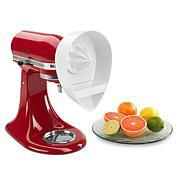 QVC HAS THIS FOR $299.00 WITH A SPATULA. Best mixer I have ever owned. I have had my kitchenaid for over 15 years and decided to upgrade to the 600 pro. Where have you been all my life!?? I passed my other don to my oldest daughter and still it works like I bought it yesterday. 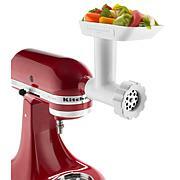 Whether your buying this or another kitchenaid mixer, you won't be disappointed. Great value and well worth every penny you spend and then some! This is my first kitchenAid mixer. I was using my moms, so for Mothers Day my kids got me one. Im using it a lot for many things I love that it comes with several mixing attachments including a Doug hook. Making break is now a breeze. 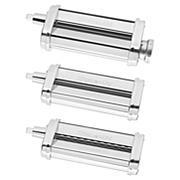 The whisk is great for making homemade whipped cream! I made 10 dozen cookies in one batch because of the large bowl 6-Quart. It also came with a splash shield and it works amazing. My 4 year old can now help me do so much more with minimal mess. In love with it!